Greenville College offers a diversity of classes for the thrill-seeker during Interterm, but not every thrill is available on-campus. Some, as in the case of DM170 (GC Colorado Extreme), take place miles and miles away from campus. 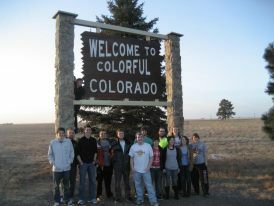 Not only is the GC Colorado Extreme team miles away from Greenville, they are thousands of feet above it too. Currently, Professor Deloy Cole and his class are stationed at Monarch Mountain and have been filming their endeavors since they arrived on the 9th of January. The group describes their goal as providing, “a winter recreational experience and an outlet for media experimentation. 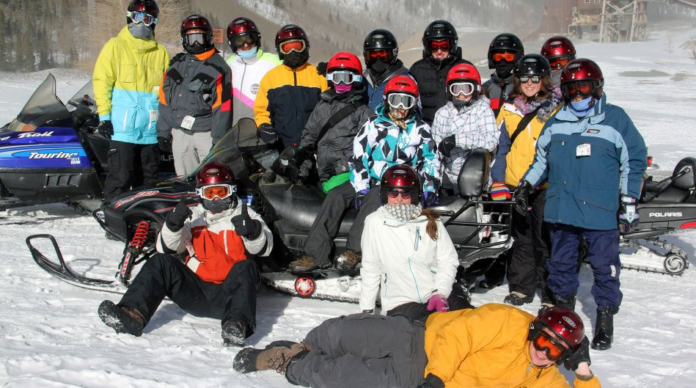 We wish to gain a heightened awareness of how Christians can enjoy God’s winter wonderland in colorful Colorado.” The members of the class have been hard at work recording their adventures, all of which can be viewed on their Facebook page. The class has been busy skiing, snowboarding, snow wheeling, taking videos, creating audioposts and blogs, and relaxing in the warm indoors. More posts and updates will be coming in daily, so be sure to check in.